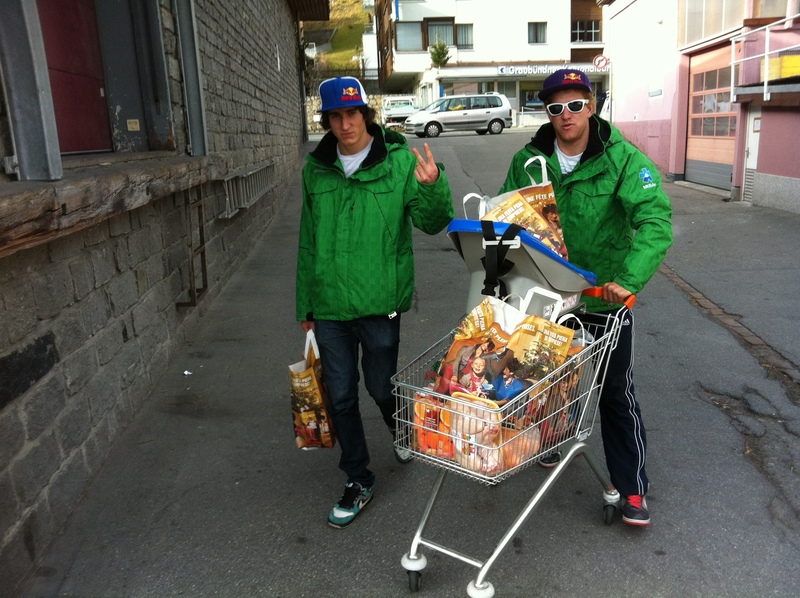 Finally we have arrived in Davos (Switzerland). Getting here was a bit of a struggle and a lot has happened so far in the few days we have been here already. PK (Paul Kovacs) and I got off the plane in Zurich airport, Switzerland, then jumped straight on a train to Germany where we picked up the mass blue Mercedes hire van for the team and drove back to the airport to pick up co team member, Callum Watson. After travelling substantial amounts of time in a westerly direction we realised we were a bit off track and headed back East towards our destination. A bit more power in the 2.0L van might have come in handy and cut the length of the trip down but after about 28 hours of total travel time plus faffing about we finally arrived in Davos. It’s a little devastating here in Europe as there is no snow anywhere and the season hasn’t started off real well so we have been confined to skiing around on two small 1.5km loops of manmade snow. It’s pretty crowed at times with all the National teams training here for the upcoming World Cup as well as all the punters skiing around in lessons trying to keep up. 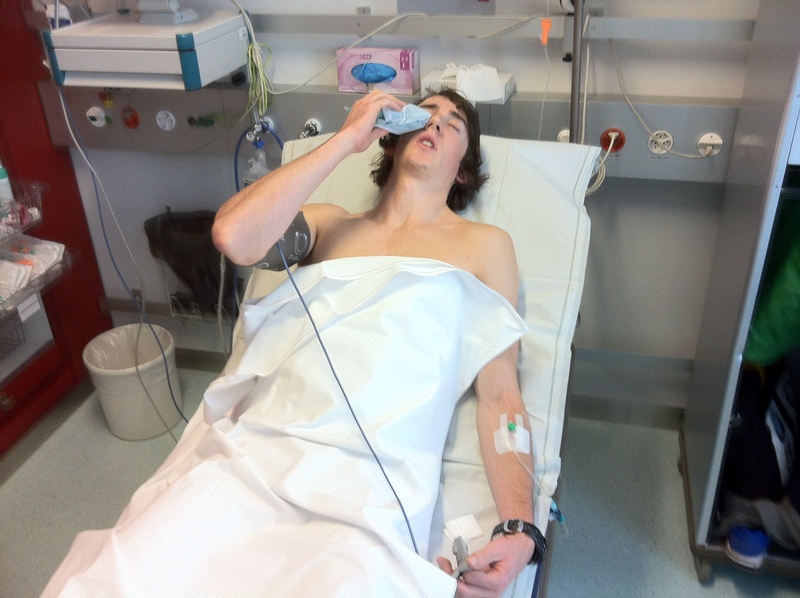 One morning in the middle of a hard interval session, Callum took a bit of a hit which landed him on his back tucked up in hospital. The three of us were in a train and came flying down into the stadium mid interval when Callum was taken out from the side; PK and I thought it was a small child that hit him but Callum has since convinced us that he was the size of a large rugby player 😉 Both ended up on the ground in a pile of broken skis and poles. The other man came off a little better than Callum, he just hobbled off groaning about a bung back, where as Callum was in a pretty rough state on the ground for quite some time. Quickly we packed him into the van and rushed him off to hospital where lots of examinations and x-rays were taken, the end result was that Callum had a haematoma between his ribs and needed to have a couple of days off from training. 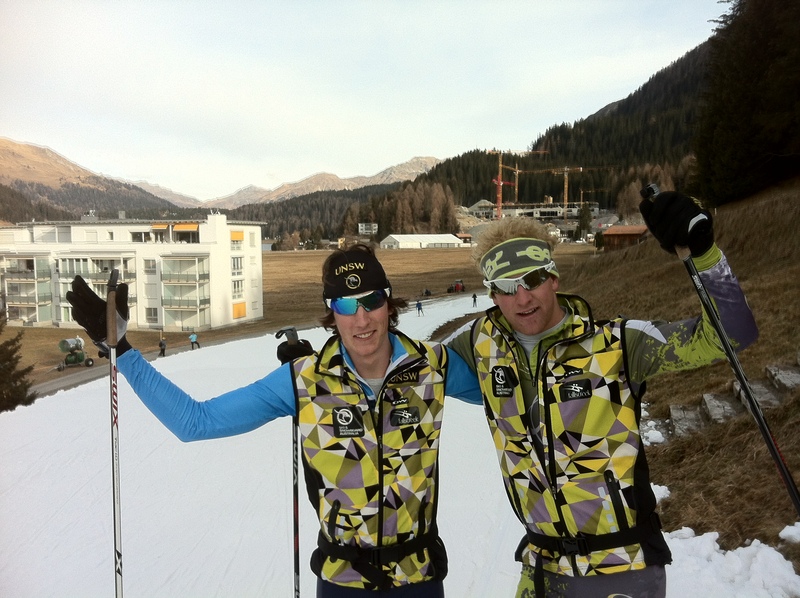 Soon enough he will be smashing it out once again and plans to race the Davos World Cup, don’t worry about that! PK has now taken a bit of a hit too and is having a few days off from training due to sickness. Before this though, PK was working hard on building a positive relationship with the Russian team. One day when we were doing some classic PK had a bit of a situation with his wax and somehow midsession managed to get in with the Russian team and got his skis professionally prepared by the Russian wax tecks on the side of the track (A-grade chief). Otherwise everything is going well. Training is good, the feasts we are cooking up are even better and preparations are going well and should be in good form for the upcoming Continental Cup races next week in Austria. This entry was posted on December 6, 2011 by Phillip Bellingham XC Ski. It was filed under Uncategorized . Loving this blog Phillip, keep up the good work! So happy that the start of the European season has gone well. 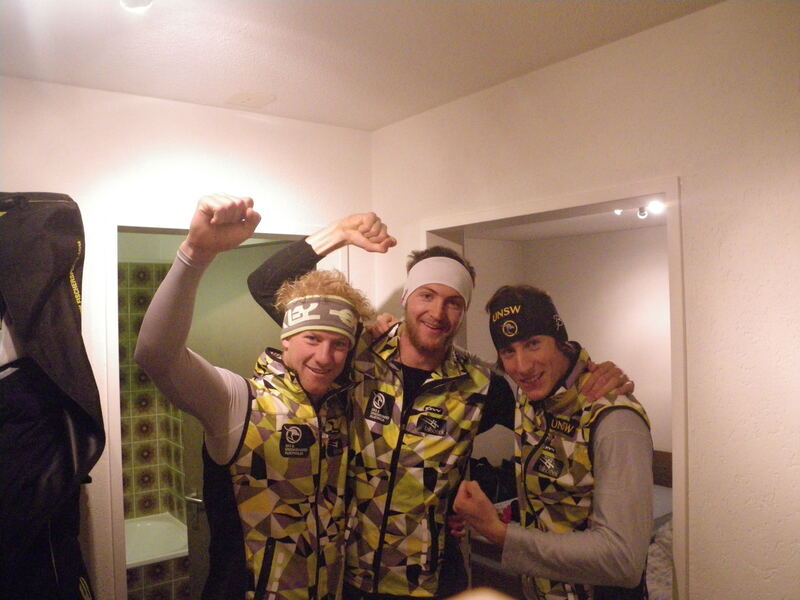 Congratulations on the races in Austria – great FIS points. Well done.